I just returned from a four night cruise with my girlfriend and kids. I resisted the urge to eat their signature chocolate dessert each night. My scale showed I lost a pound on the cruise. I received an email from the cruise line, that I am not welcome back. I’m hurting their reputation. Take a cruise just for the marketing lessons. They are masters at up-sells; drinks, drinks in fancy cups, pictures, gift shops, bingo and raffle tickets, gambling, more pictures, excursions, more pictures, etc. I bet they can almost give the cruise away. 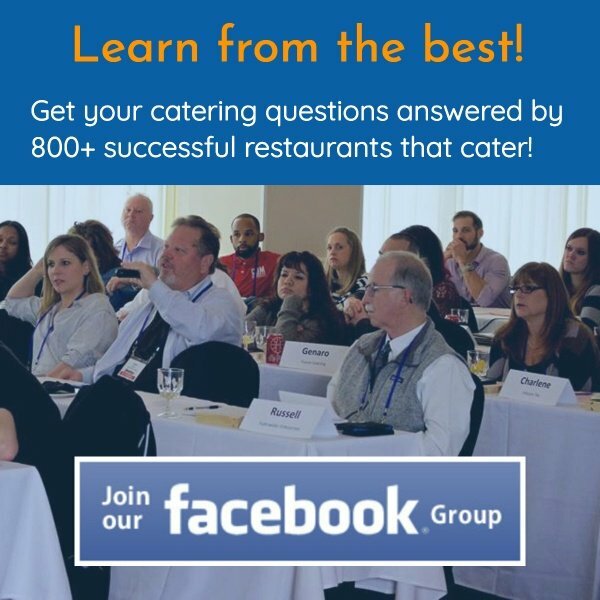 Now what about “attracting” more catering clients? I was running errands Monday night and ran into a Moe’s near my home. They also happen to be a client. 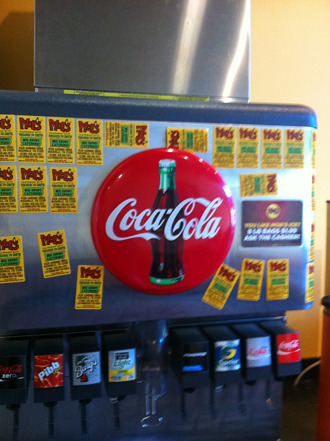 While refilling by drink, I noticed their soft drink machine was covered with magnets promoting their catering. (See picture below). This is smart marketing on two fronts. 1. 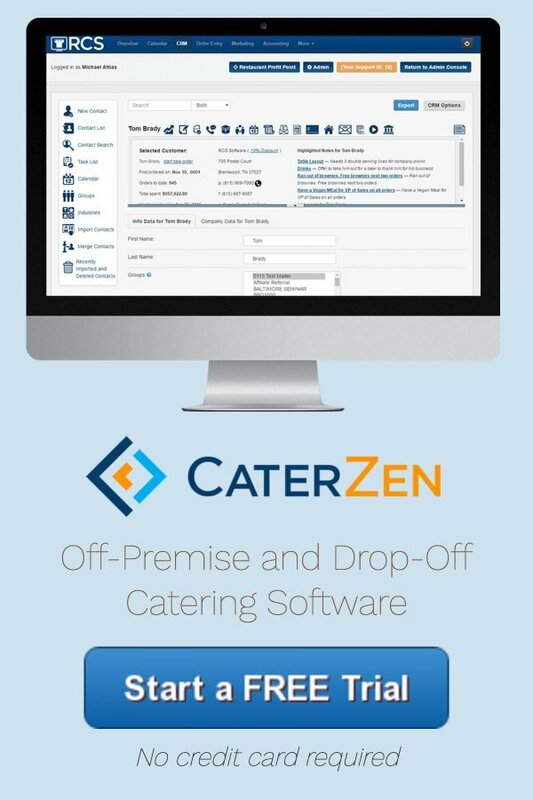 You want to use as many four walls marketing tools as possible to let your dine in/take-out customers know you cater. 2. I’m betting that on each drop-off catering order, they’re sticking a magnet on the company fridge. Magnets are a high return, low cost way to “attract” catering and repeat catering business. So what four walls marketing are you going to put into use today?